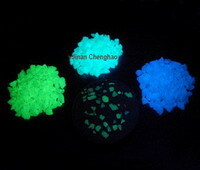 Photoluminescent Stone--Jinan Chenghao Technology Co., Ltd.
Glowstone is for use in Concrete, Pavers and Terrazzo products as an exposed aggregate. Glowstone enhances safety by marking the pathway in Low Light Level conditions. 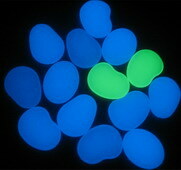 Glowstone can be manufactured in a range of Photoluminescent pigment strengths. Grades with higher pigment content have a higher cost but also have stronger initial after-glow and will also have a longer duration of glow.